Renae De Liz and Ray Dillon’s Legend of Wonder Woman has spent the last year or so retelling the earliest days of Wonder Woman’s origins—from her life on Themiscyra to arriving in Man’s world to become one of its finest heroes. This particular take on Wonder Woman, however, has come to an unfortunate abrupt end, as 2016 gets a few last terrible things in under the wire. DC had previously announced that the digital-first series would continue with a “part 2" next year, further expanding on a series that had only initially been announced for just a 9-issue run, but since evolved to become an ongoing series. However, series writer De Liz took to social media yesterday to confirm, sadly, that DC had canceled the continuation. It’s terrible news, especially considering it seems rather sudden to its creative team—and because the series has been in the news again recently thanks to the new hardcover release of what is now the “complete” series. But it’s also sad because Legend did an absolutely fantastic job of retelling Diana’s origin story, one that’s been re-imagined and re-worked many times over the years. 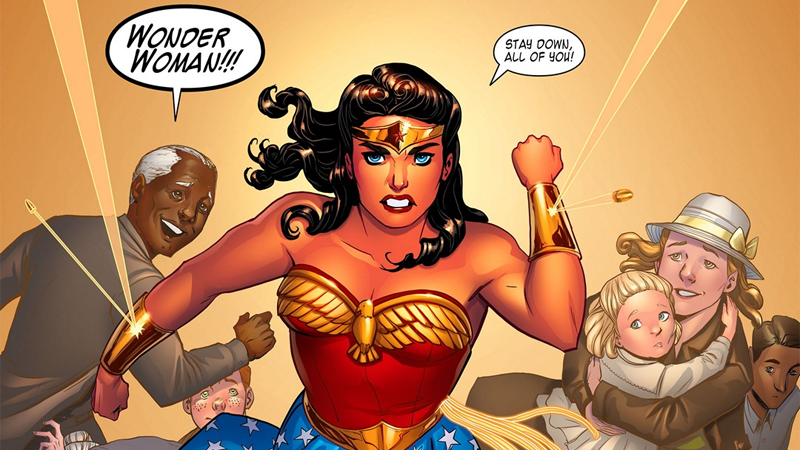 Legend of Wonder Woman took a slow approach that so many origin stories rarely get, following Diana’s life on Themiscyra and her relationship with her mother, and then into the earliest days of her superheroic career, that gave the story time to breathe and lent a real sense of growth and progression to Wonder Woman. It was one of our favorite comics of the year, and we’ll be sad to see no more of it come 2017.